Status 5.5" Left handed thinner scissor for hairdressing & pet groming. 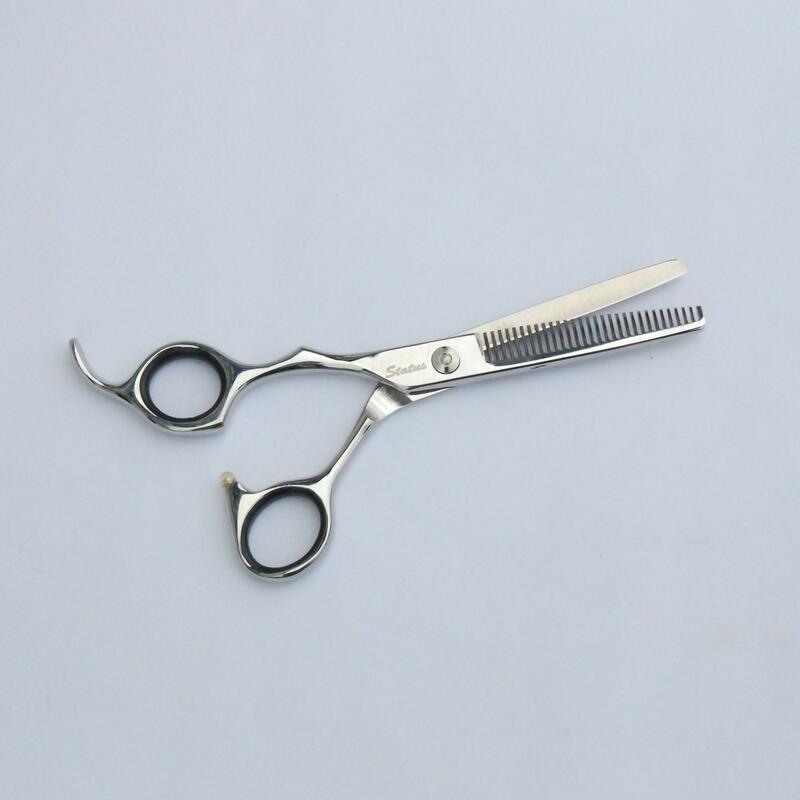 These quality, left handed 28 toothed thinning scissors have a true convex blade with a keyed tension adjusting screw. Made from Japanese SUS 440C stainless steel, they will hold the edge longer than lesser quality steel. They have a ball bearing pivot for ultra smooth cutting action and the offset handle design means less wrist strain in operation.